Whether you?ve been stand up paddle boarding for years or recently joined the activity, you know just how instantly addictive it can be. The thrill of being out on the water and enjoying nature while you have fun and get a workout at the same time makes this a truly unique water sport. 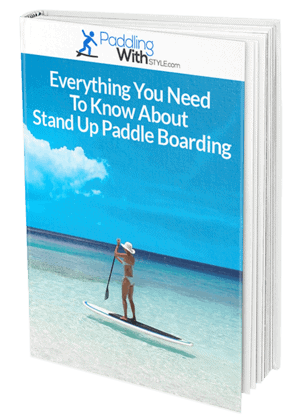 If you?ve ever rented a paddle board before or owned a traditional style hard board, you know for yourself how heavy and bulky they can be to carry around. For some people, it?s simply not feasible to take their board along wherever they go and so they simply have to miss out on enjoying their favorite pastime. Thankfully, there?s been a revolution lately in the different styles of stand up paddle boards available, and in particular ones that are more compact and easy to carry wherever you may go. The inflatable stand up paddle board is exactly that, offering a truly unique way to enjoy this water sports from anywhere and give you an easy and convenient way to bring your board along. 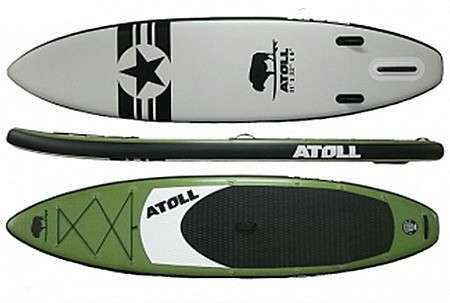 The Atoll Inflatable Stand Up Paddle Board is a leader in this market, with a brand that specifically designs inflatable boards to meet the needs of beginner and seasoned riders. With the power of air in your board, you?ll be able to take your favorite hobby along, and because this one of the most lightweight inflatable boards around you won?t even notice you?re carrying it. Although not as well known as some other water sports brands, the Atoll company was started in California and has continued to grow significantly thanks to their quality and affordable boards. Their flagship inflatable stand up paddle board is the Cruiser Deluxe and gives you a complete package that can be ridden and enjoyed the very same day you get it. Made from a quality PVC in an ultralight dual layer construction, this board is one of the lightest you?ll ever feel, and one of the most durable. Don?t let the inflatable qualities of this SUP put you off as it could easily contend with other hard boards for strength. This board has been designed for the rider who wants convenience and compactness from their board when they need it most. Whether you?re traveling in the car and don?t have space for it on top, want to take it along on travels, or simply can?t carry the weight of hard boards, the Atoll Inflatable Stand Up Paddle Board has been made for you. There are so many features packed into this one board, and the team at Atoll pride themselves on listening to what their customers want and then doing what they can to add it in. This is a serious stand up paddle board that always has the rider in mind, which you can tell the second you get it out onto the water. If you?re looking for an inflatable board that?s tough, convenient, and full of features that you?ll actually use, the Atoll Cruiser Deluxe Stand Up Paddle Board is it. 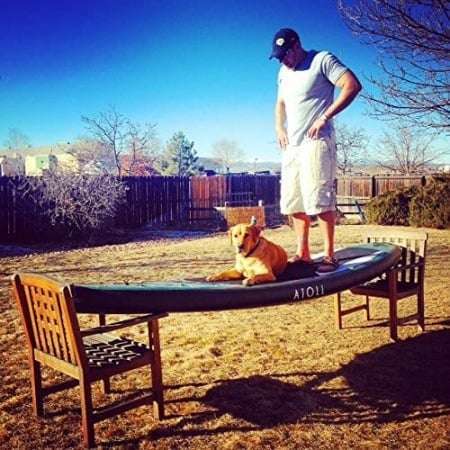 One of the first things you?ll notice about this board, and the feature that made so many online reviewers excited, was just how stable and durable it felt. This board smashes the misconceptions about inflatable styles being less than reliable, and it?ll work just as well on choppy and rough water as it would on a calm day out. The only real complaint by a few users was that an automatic pump would have been a nice addition, as it can take a bit of a workout using a hand pump. If this might be an issue for you, you could always keep it inflated if you plan on using it regularly and just give it a top up pump every now and then. 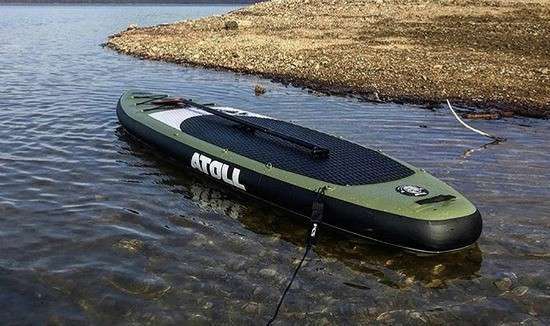 Another great thing about the Atoll Inflatable Stand Up Paddle Board is just how many accessories you get in the one package, so you can literally take the entire kit out and get straight in the water. There is everything from a pump to extra fins, and even a nylon backpack to carry it in, so it? s a complete set without the need for anything else. When you?re ready to make the switch to an inflatable style board, you can get the Atoll Inflatable SUP through Amazon for a huge discount. Currently, there is over 40% off the price of this board which makes it extremely affordable at around $750. Considering all of the features and accessories you get, this is a deal of a lifetime. One of the great features of all Atoll board is their warranty period which covers you for a full two years. This is rare in water sports equipment and especially stand up paddle boards, so it just goes to show you how high quality this board really is. If you decide to take the plunge and order this board through Amazon it will be sent free of charge to your home, and even better if you are an Amazon Prime member it?ll be sent in just two days. That means you could be enjoying your brand new SUP by the weekend and without any of the hassles of transporting a hard board around. There?s no denying that the Atoll Cruiser Deluxe is one of the premium inflatable stand up paddle boards around, and it?s by far one of the best in terms of features and durability. If you?ve been on the fence about getting an inflatable board, this is one you can trust to outperform even the toughest hard board around. Considering all of the accessories that come with the board and an easy set up that gets you on the water in no time, there?s really no better option if you?re looking to invest in a new board. 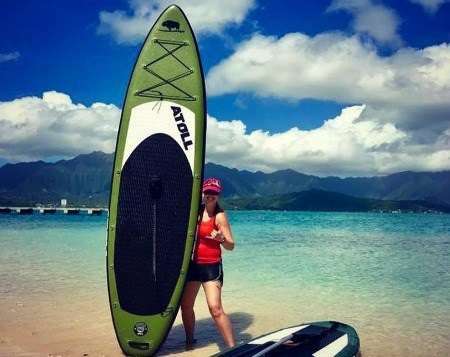 To get the Atoll Inflatable Stand Up Paddle Board for yourself, click here to purchase.